Privacy Statement for Higher Awareness Inc.
Why were you sent an email you do not want? Higher Awareness does not share, sell or rent any personal information such as your name and email addresses to outside third parties. We will not send you unsolicited e-mail. We will only send e-mails to those who request them through our opt-in process. We honour all removal requests--you may unsubscribe at any time. Our credit card processing uses a Secure Socket Layer (SSL) server using only the highest standards of 128 bit encryption. We appreciate you subscribing to our lists and using our services. We will not abuse that privilege. Higher Awareness puts a high priority on list accuracy and quality content. If we are not meeting your expectations, please . Free Personality Quiz uncovers who you are and your next step in life. 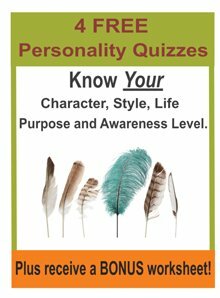 Free Personality Style Quiz uncovers your unique way of doing life. Life Purpose Test clarifies your higher spiritual and soul purpose. Awareness Level Test identifies your level of experiencing and manifesting the life you desire. Members can request a workbook or program using the subscription form on the Members’ page. To those who specifically request them, we send the Inner Journey newsletter (every one, two or three days in text or HTML format), Growth Tools (weekly in HTML format), a free sample email program, or free information with follow up emails. For maximum control and security, we maintain our e-mail list and distribution system on our own dedicated server. You may at any time unsubscribe to the Inner Journey newsletter or Growth Tools. To unsubscribe, click on the bottom link of your newsletter or send an email to John by . Your request will be processed immediately. You will be removed from that list and you will not receive future messages from us for that particular subscription. Please note that you must unsubscribe from each list to which you subscribed. To change your email address or profile for the Inner Journey or Growth Tools newsletters, click the appropriate link at the bottom of your newsletter or please . To unsubscribe from any of Higher Awareness’s email programs, please . You have forgotten that you signed up for a service. We are following up on a service you once requested. Someone signed you up without your permission. 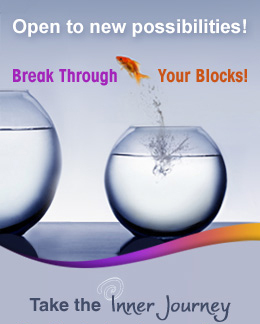 If you are using spam filtering software, you can enter our domain name (higherawareness.com) or the appropriate email address into your filtering software's "white list" to ensure you continue to receive Higher Awareness email messages: Inner_Journey@HigherAwareness.com or john@higherawareness.com or support@higherawareness.com We have more details on how to white list for your specific email program. We also monitor all spam filters and manually enter any required validation codes. We use your IP address, browser type, domain names, access times, operating system, country of origin, page views, and users sessions (normally available from most computers with the email address) to help diagnose problems with our servers and to administer our Web site. A cookie is a piece of data stored on the user's computer. Our site only uses your computer’s cookie if you are an affiliate of Higher Awareness using the correct affiliate URL. We have our own dedicated servers with daily maintenance and backup. We do not share computing resources with any web sites outside of the Higher Awareness family of sites. Though we make every effort to preserve your privacy, we may need to disclose personal information when required by law or in the good-faith belief that such action is necessary in order to conform to the edicts of the law or comply with a legal process served on our Web site. The contents herein are solely the opinions of the HigherAwareness.com editors and should not be considered as a form of therapy nor advice. There is no guarantee of validity or accuracy. HigherAwareness.com assumes no responsibility for injury. If expert assistance or counselling is needed, services of a competent professional should be sought. Higher Awareness (a) does not make any warranty, express or implied, with respect to the use of the information provided or made available; (b) does not guarantee the accuracy, completeness, usefulness or adequacy of any information accessed via Higher Awareness; and, (c) is not responsible for any errors or omissions in the information accessed via Higher Awareness or for the results obtained from the use of such information. Any specific reference by name, trade name, trademark, or otherwise to any party does not necessarily constitute or imply its endorsement of the use of such information by Higher Awareness. 1-780-462-2167 or toll free in N.A.